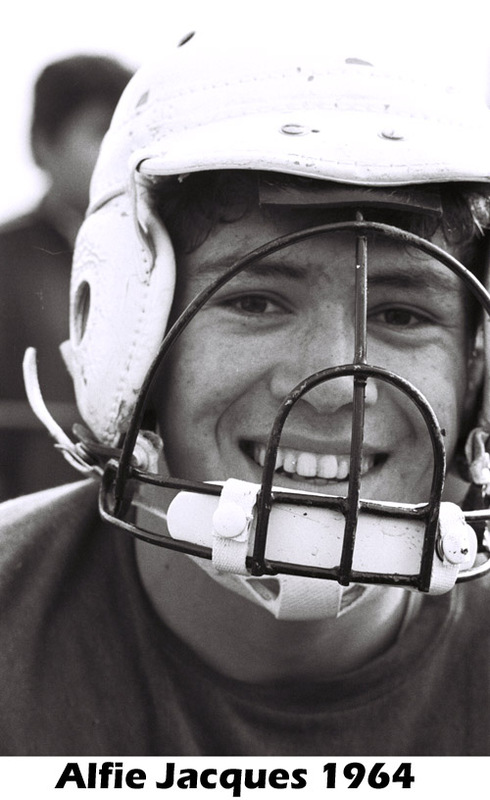 Rochester, N.Y., the LaFayette Lacrosse team took its first steps in the spring of 1960. 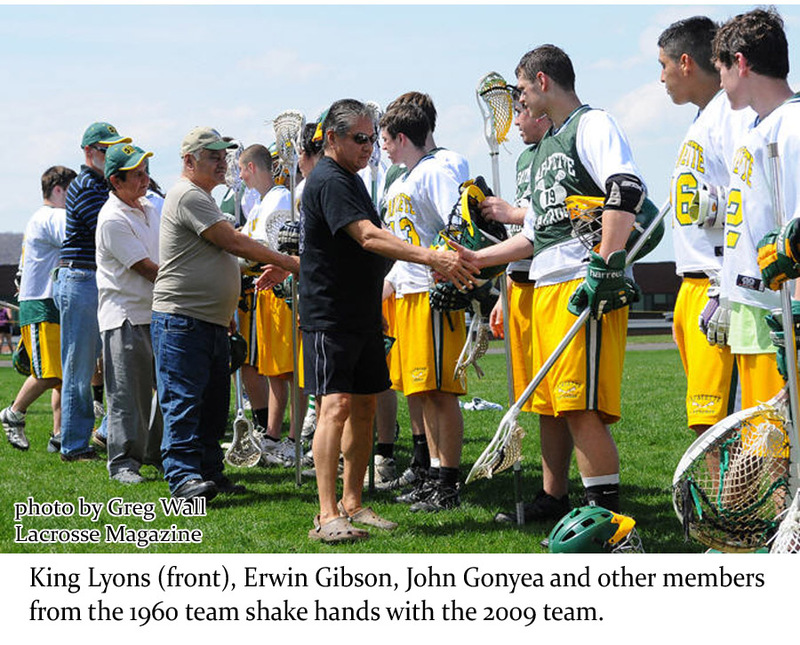 LaFayette team began, Mr. Liddiard and Coach Weist petitioned the league to allow the Onondaga boys to play with their “box” sticks until they were able to purchase officially sized field sticks. The boys were only too happy to learn that they could play with their sticks that they were accustomed to despite the questions from the opposing teams of, "How do you catch with such a narrow stick?" LaFayette team took the field for the first time, the team painted the SU "orange" helmets white to match the colors of the LaFayette jerseys, green and white. 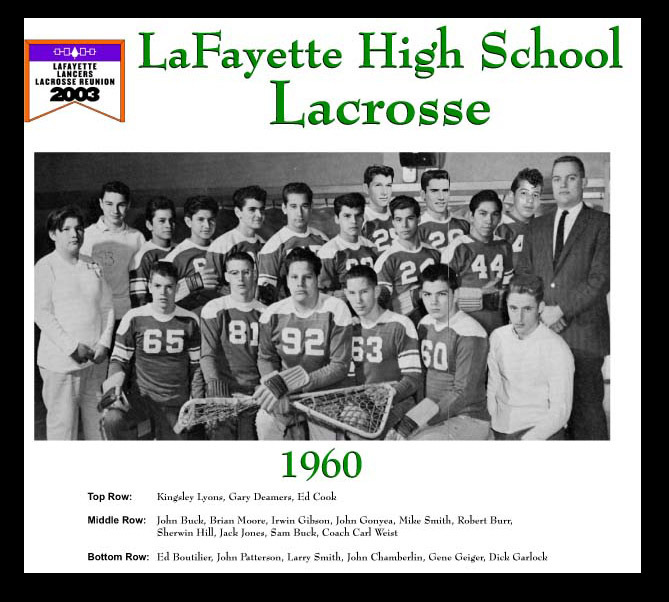 Since those 15 boys from LaFayette and Onondaga took the field in 1960, the team has become one of the outstanding programs in the state despite having one of the smallest school enrollments. By 1963, the LaFayette Lancers were the County Champs and by 1967 they were in the midst of a 47 game winning streak and earning three Upstate Championships. 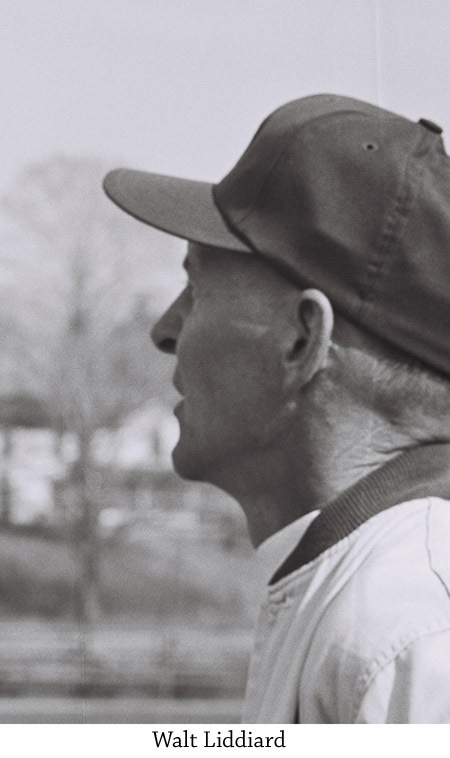 In the 50 seasons since, the Lancers have won 2 State Titles, 8 County Championships, a recognized Hall of Fame Team (1967), 10 Section III Championships, 11 League Championships, and 19 All-Americans. 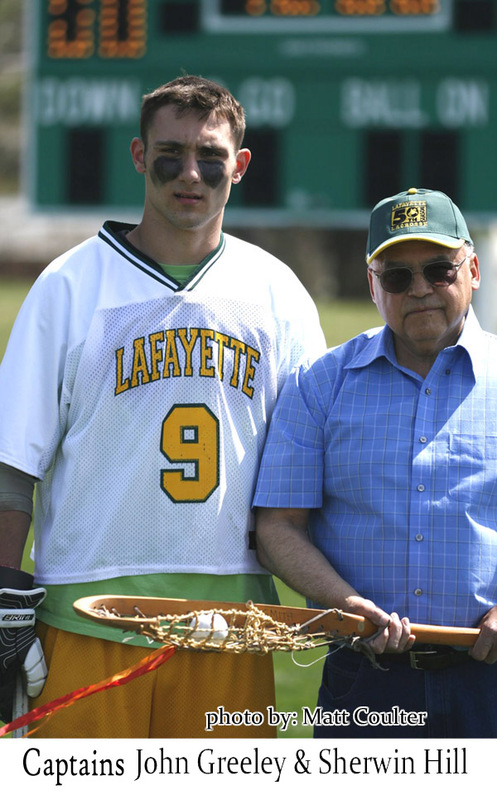 So on April 25th, we honored those individuals who first played for LaFayette lacrosse and all those who followed over these past 50 seasons in making this such a successful program with a 11-10 win over Cazenovia, who is coached by LaFayette alumni Jim Longo.